Intelidy automatically tracks and displays key metrics such as vacancies, variance reports, actual vs plan data by cost center, and other performance indicators. 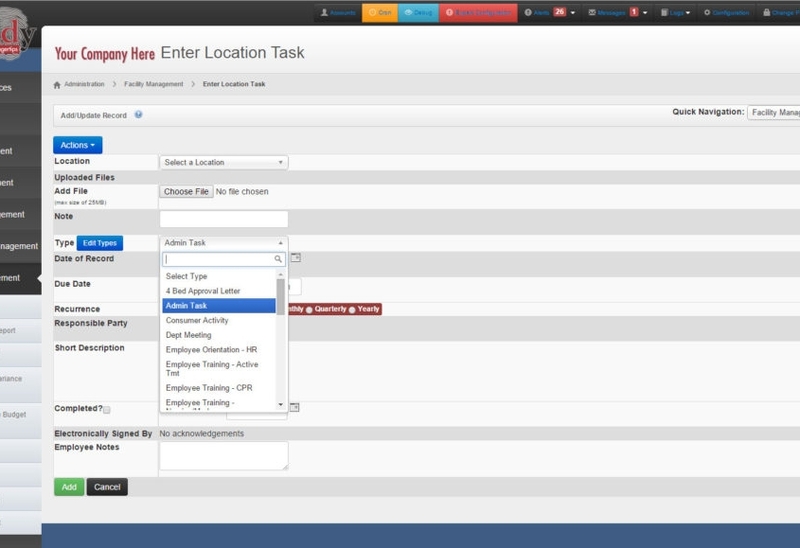 Additional monitoring tools are included to ensure business accountability for supply requisitions, maintenance work orders, in-service by location, and other processes or deadlines. Intelidy manages the administration and security of the environment, leaving you to focus on what matters most–running your operation. 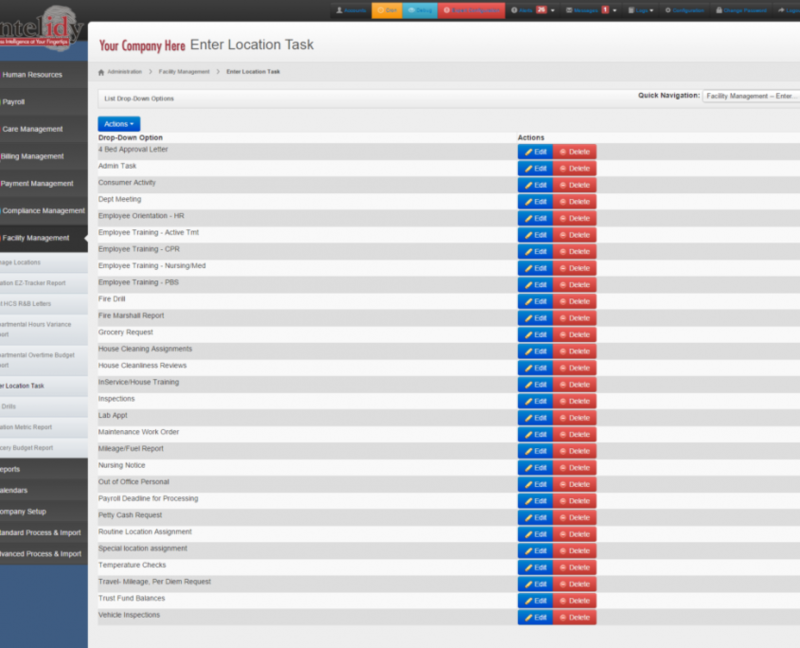 Customize tasks for each of your locations. 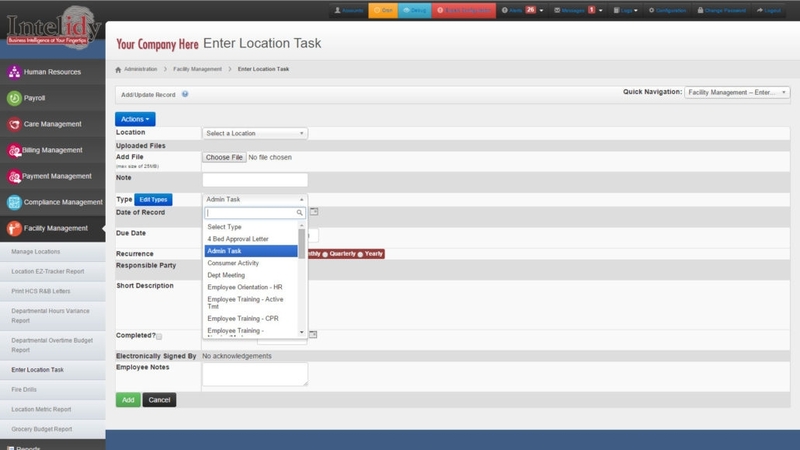 Assign tasks by location with customized records.